The Bellino Brothers, two tourist guides specialized on monuments, statues, tapas and Flamenco, work for the company Tour Bellino, conducting common city tours for tourists. 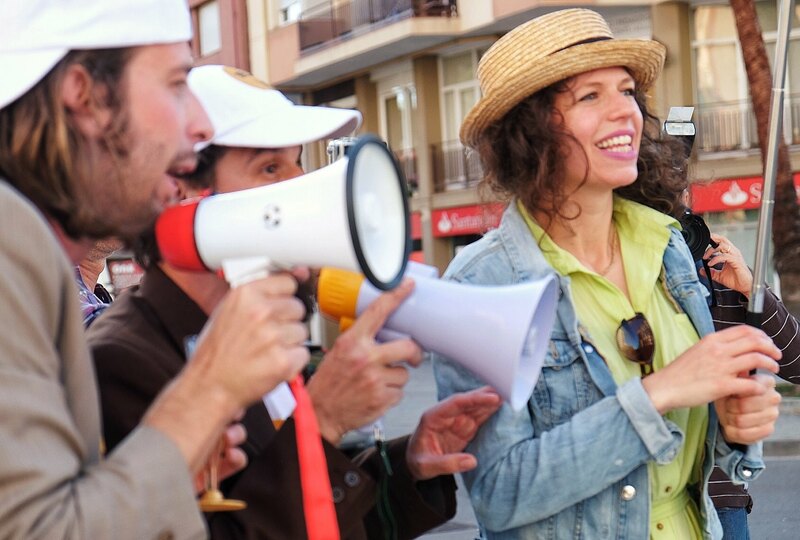 When they arrive at the place where the audience awaits them with their little white three wheeler, they realize that the group they are supposed to guide are not a group of tourists anxious to see Gaudí or tablao flamenco. Instead, they are waiting for the SAFARI OF URBAN CREATIVITY. So the Bellino Brothers will have to improvise. What luck that on the way they meet a passionate expert on urban art who knows everything about the artists of the Safari. 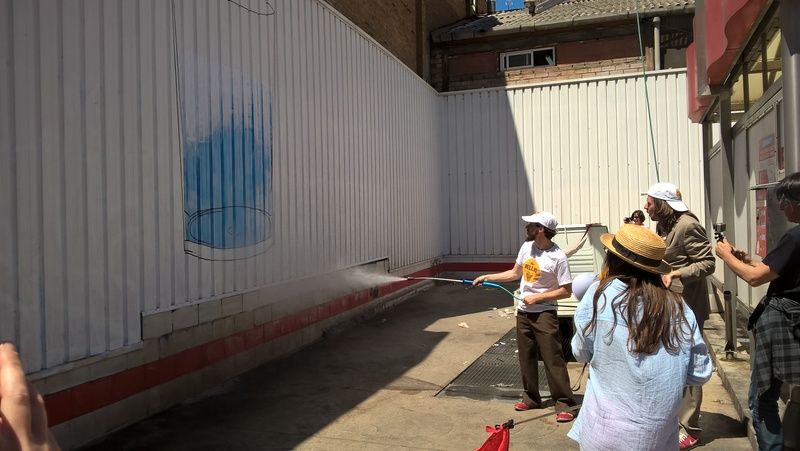 On their first Safari of Urban Creativity in Hospitalet, they came across murals by artists such Kenor, Uriginal and Lucas Milà, as well as projects of civic re-appropriation such as David Prieto’s little island on a roundabout where the group is invited to have glass of wine. Further, they discovered a piece by the artivist Spy as well as a multibasket installation where people could play with 15 baskets. 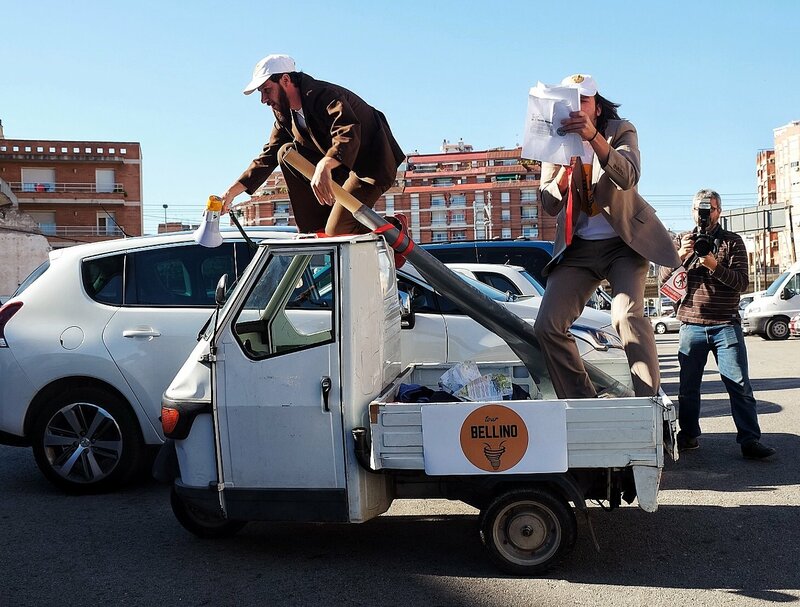 Tour Bellino is adaptable to festivals and other formats related to arts and urban creativity, fostering the relationship between urban arts and street theatre. 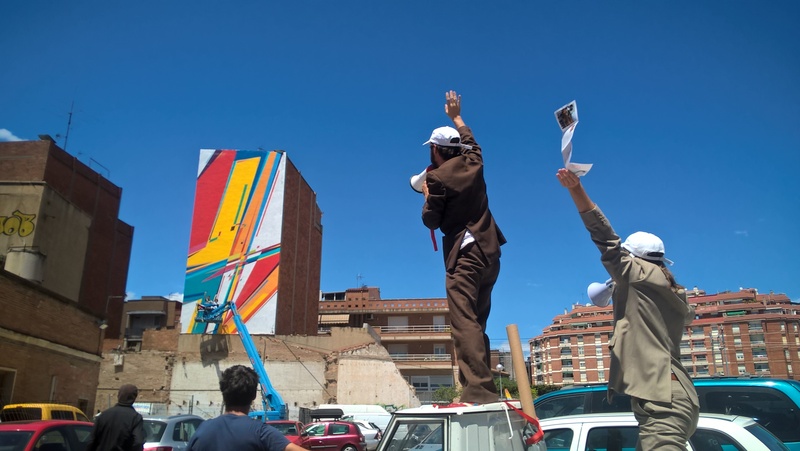 Special thanks to Arcadi Poch, who imagined this first Safari of Urban Creativity in Hospitalet inside the Festival Polyhedric. On a daily basis, he dedicates his energy, strength and optimism to making cities more creative and alive. Production: Eléctrico 28 + S.E. 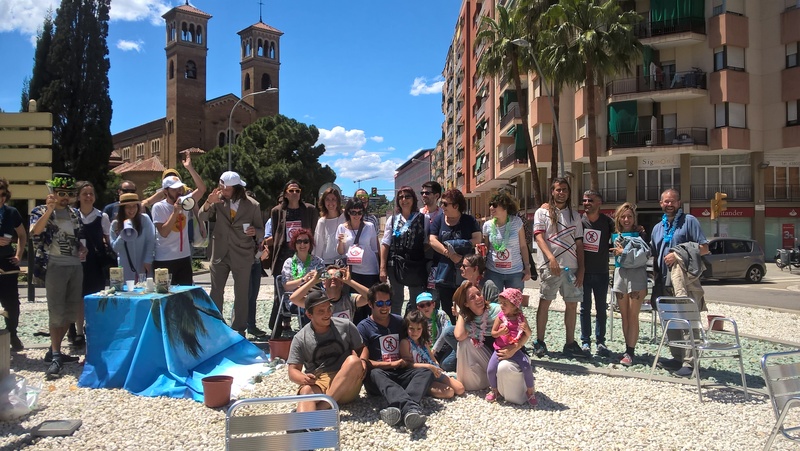 This Project was originally created for the cultural district of Hospitalet as part of the International Meeting of Cultural Districts in Hospitalet.